Here are some examples of the most common lawsuit causes of action. That is, the common reasons that lawsuits are filed that could result in someone seizing your assets. They underline the need for a proper asset protection strategy. Automobile Accidents: This can be an issue, even if you are not in the accident yourself. Let’s say your uninsured teenage daughter causes an accident in your car. Both you (the owner of the car) and your daughter (the driver of the car), could be liable. Bigger yet, is when you get sued for more than your coverage limits. An injured party could put you on the hook for the remainder. Divorce: This is a big one. There are a number of things that can come up in this situation. For instance, a spouse can break up your retirement plan; they do this under something called a qualified domestic relations order (QDRO). 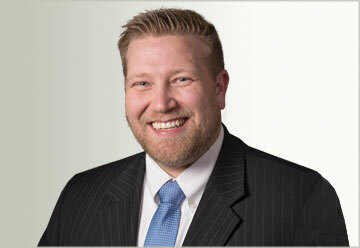 Additionally, even under bankruptcy, you cannot discharge alimony nor back child support. And you can even go to jail if you do not pay child support. So, whatever income you make, the judge will likely require that you pay a portion of every paycheck. If you own a business, typically the spouse gets half of the ownership. They also get a portion of the income, even if he or she no longer contributes. “Slip and Fall” Accidents: A customer falls and breaks her hip after your employee mops the floor. The victim’s attorneys may come after you. Sexual Harassment Accusations: Even if you think a remark or act was harmless, it doesn’t mean the accuser will not bring you to trial. Trademark Infringement: You might do something that could appear harmless. For example, you would use a well-known brand to draw customers to your business. But the trademark owner might think differently and sue. Employment Discrimination: A former or prospective employee can hit you with type of lawsuit, even if you think it is unfounded. Even if it was a simple mistake (like inquiring about a potential employer’s pregnancy) you could face the consequences. Faulty Goods: If the crib your business manufactures has a defect that causes harm to a child, you’re likely to have a lawsuit on your hands. Malpractice Claims: Patients and clients commonly serve lawsuits on medical doctors, accountants and attorneys. They often accuse them of negligence in their professional capacities. Breach of Contract Claims: Again, whether you did it on purpose or not, the law can generally hold you responsible if you do not hold up your end of a contract. Work-Related Accidents:One of your workers hits a pedestrian on her way to a client’s home. This may be the fault of the worker, but it’s your pockets that the lawyers will be after. Social Host Liability: Let’s say that same daughter then decides to throw a party while you’re out of town and serve alcohol. If a tattle-tale neighbor turns them in, a courtroom could find you personally liable. Debt: This one is pretty clear. You can be sued and lose assets if you default on your debts. Medical Problems: Even if you have disability insurance, you could still lose a good portion of your income from non-covered expenses. Foreclosure: Your property can be seized if you do not pay the mortgage. While we are at it, here are some common terms in the world of asset protection from lawsuits. Asset: An asset is something of value that an individual or corporation owns. Assets can be any number of things: cash, vehicles, homes, savings accounts, copyrights, bonds, and more. Asset Protection: This is a set of legal techniques that individuals and corporations use to prevent creditors from taking their assets. Creditor: Here we are talking about a “judgment creditors.” It is a party to which a debt is owed who has proven the debt in a legal proceeding. A judgment creditor is entitled to use the judicial process to pursue the collection of the debt. 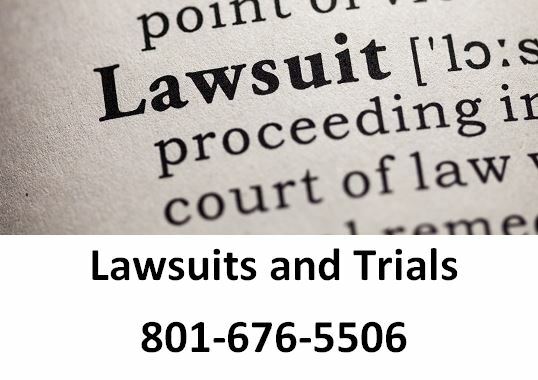 Lawsuit: A lawsuit is a court case that involves a claim or complaint by one person or company against another person or company. A malpractice claim that a misdiagnosed patient files with the courts is an example of a lawsuit. Liability: A legal liability is an obligation under law stemming from civil actions (torts) or from a contract. Even there is an out of court settlement, ultimately the courts must decide the extent of legal liability.